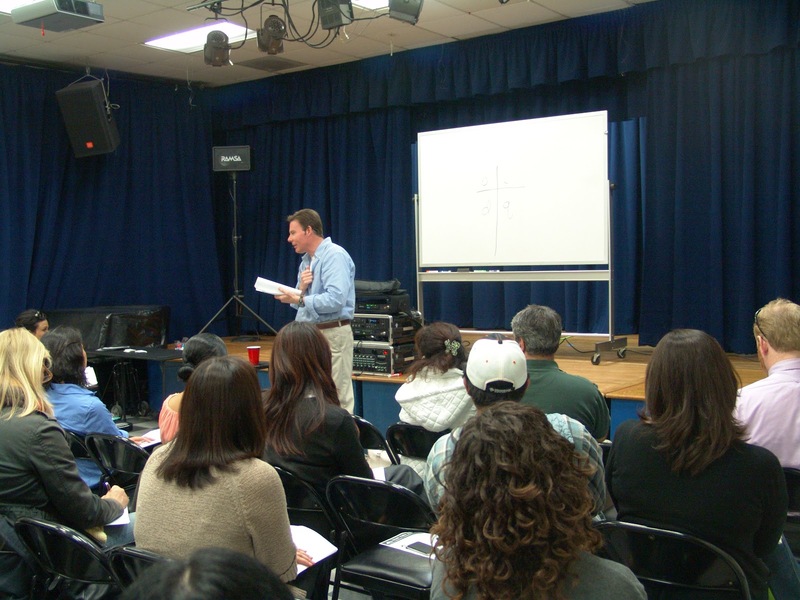 We were pleased to welcome acclaimed parenting speaker Scott Peebles to the Edgewood campus on April 3 to share his "slightly off-the-wall parenting" methods at our Chalk Talk event. Our parents were laughing out loud during his presentation and asked some excellent questions. Scott had so many great tips, we're sharing the notes in two parts--check back tomorrow for the second post! Question: What is the key to becoming a successful parent? Become a "Slightly Off-The-Wall Parent," which means doing things a little differently than might seem natural to you as a parent. Keep this in mind: PMMFI “Please Make Me Feel Important.” Apply this rule to your children, your spouse and yourself. Everyone wants to feel important so make sure you are not only getting the attention you need but showing love and care for your partner and your children. Question: How should I react/what do I do when my child brings home a bad grade? Parent: “Great you got an F, isn’t that what you wanted?" Emphasize that there are no failures, only results. You either get the results you want or the results you don’t want, and if you aren’t getting the results you want then you probably need to try doing something differently. Question: How do I interact with my kids in a way that instills confidence? Always look for the "gold" in your children. Make your child the star of the evening and give them the opportunity to talk as much as they want about all they things they are proud of. Adopt the “Family Kindness Act” and every night or once a week at dinner have everyone in the family say two nice things about the other family members. Ask them, "What have you done today that you are proud of?” and let them talk. Question: What do I do when my child starts throwing a tantrum? Question: What is a good way to get my kids to bed on time? Answer: Pick a song--make it one you like--and play it as they are getting ready for bed until they go to sleep. Over time... (ever heard of Pavlov?) they will start getting sleepy just by hearing the song. Question: How do I say "No" without always saying no? First, teach your children to respond to hearing "No" with the phrase that pays: "Thank you for considering, maybe next time?" Encourage your child to respond in this way when you or anyone else says “no” to a request they have. Use the “Big No Sheet.” Basically, they say no, you say no. Make a big sheet, or list that you have in an easy-to-find place. When you ask your child to do something, a chore for example, and they say “no” you write it down on this sheet. Later when they ask you for something, go take a look at the sheet. “Well, it looks like you said “no” to doing the dishes, so no you don’t get to go out tonight”. Make it a problem for them. Contributed by Scott Peebles, M.A., MFCC, H.B.